D-Link, the worldwide leader in innovative home and business networking, sets another new standard for broadband router performance with the D-Link Express EtherNetwork™ DI-707P. The DI-707P is an Ethernet Broadband Router with a built-in 7-port switch. It also features a parallel port to share a printer on a small office workgroup or network and includes a print server application for Windows1. As many as seven computers can be connected to the router's integrated switch, using its seven 10/100Mbps AutoMDIX Ethernet ports. The DI-707P package even includes an Ethernet cable to get you started. The DI-707P is ideal if you're creating a small business network, or if you're a more advanced user looking for additional management settings. The DI-707P includes an easy-to-use web-based graphical user interface (GUI) to configure the router. To keep prevent unwanted Internet intruders from accessing your network, the DI-707P also serves as a feature-rich firewall. 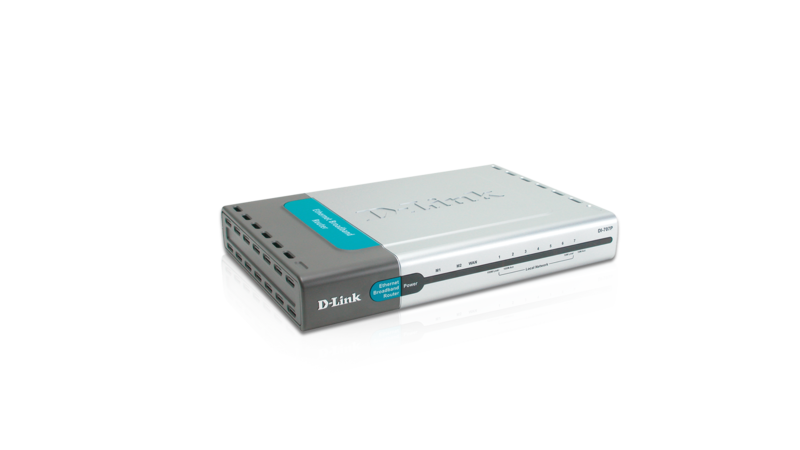 So, whether you're a college student who wants to network with friends and roommates or a small business owner who wants to have more control over how your employees access the Internet, then the D-Link Express EtherNetwork DI-707P is the networking solution for you, even if you don't know much about networking. 1—Printer Server software included is for Windows Operating Systems only. Postscript Level 1 and 2 printers can be connected to the DI-707P for Macintosh OS 9.x or X computers. The DI-707P does not support non-Postscript printers with Macintosh OS.